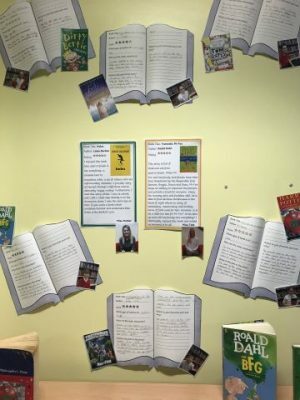 This week in Year 5 we have been discussing our favourite books and authors. We have looked at lots of different genres and spoken about which are our favourite and why. 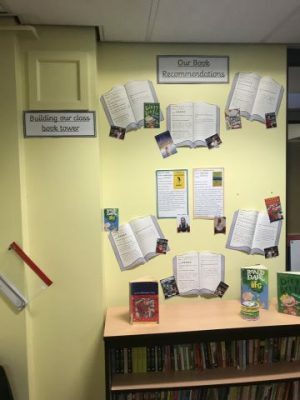 Some children completed a book review for their favourite book for our ‘Recommendation Wall’, myself and Miss Tate have put up our recommendations too. These will be changed each half term so that the children can use it to help them when choosing a new book and perhaps persuade them to try out a different genre. We are also building a class book tower to see how many books we read collectively over the year. We are hoping to reach the ceiling soon! 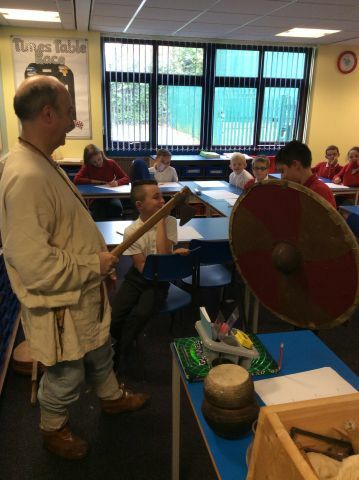 On Friday 12th October Year 5 had a Visit from Mr Wike who brought in lots of Viking artefacts in. 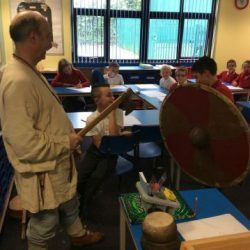 He showed us many different things like the armour and weapons Vikings would have used and what they would have used to cook and eat their meals. 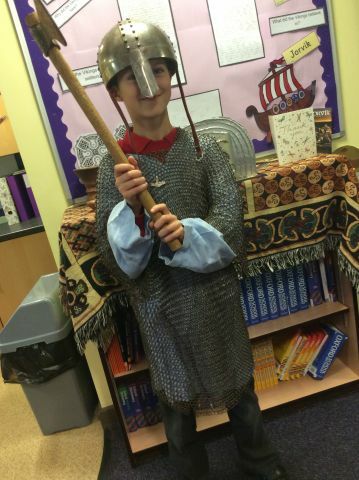 The children were able to try on the different clothes and armour and handle many of the different artefacts. The children had lots of questions that they wanted to ask Mr Wike and he was able to answer them. 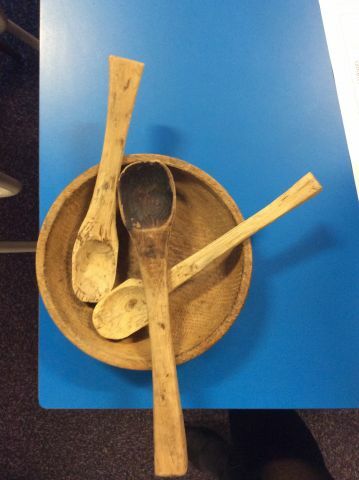 We learned lots of new facts about the Vikings. A big thank you to Mr Wike for visiting our class. 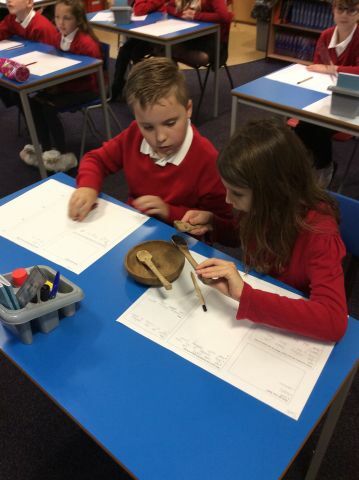 This week in art we have been sketching Viking Coins. 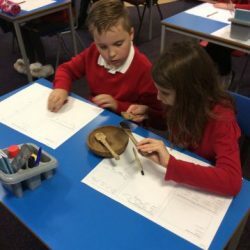 We were lucky enough to have some Viking coins brought into school so that we could look at the coins closely and feel them. We were very surprised by how light and thin the coins were compared to our coins today. The coins were used to help us to capture the fine detail of the coins when sketching. I am really excited to be your child’s class teacher and part of Brierley Church of England School. As your child moves into upper Key Stage 2, we will be focusing on developing the exceptional skills which they have already acquired, with a particular focus on their independence; developing them into mature and confident learners. Our Christian Values will continue to be focus throughout the year and will underpin all we do in Year 5. We are all more than happy to help you and your child so please feel free contact anyone of us at any time in order for us to provide you with as much support as possible. 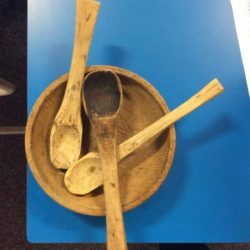 We have had a fantastic and positive start to the year so far, the children have really impressed me with not only their Maths and Literacy skills but also with their level of maturity and teamwork in the classroom. 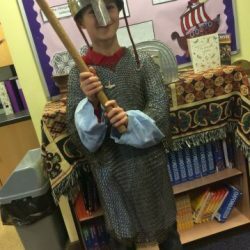 We made a great start with our topic this week and we will be exploring and finding out more interesting facts about Vikings next week. PE will be on Mondays and Thursdays this year. Supporting your child with completing homework each week and also reading regularly will really help with their development and ensure they are on track for Year 5.